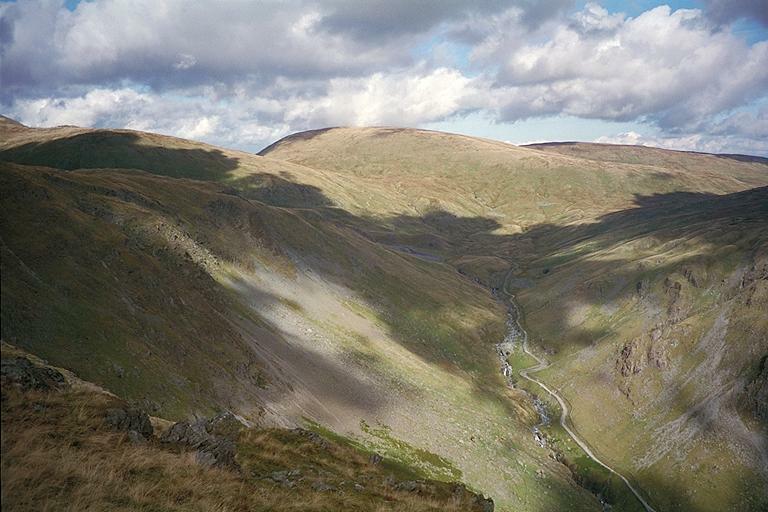 On the left are the slopes of Harter Fell, on the right the slopes of Tarn Crag, and in the centre, Branstree. Down in the valley, the waterfalls of the River Sprint make enough noise to be heard from the felltops. Smaller version of this picture.